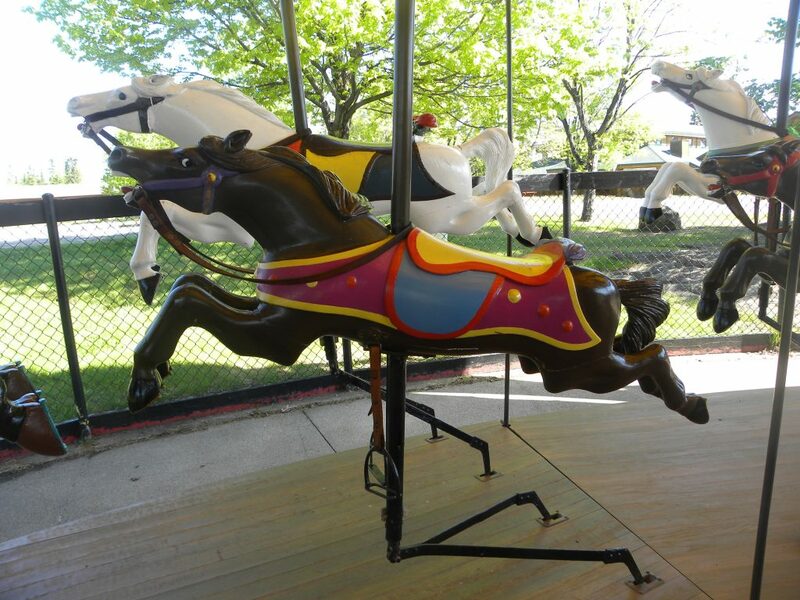 Today, after bringing so much joy and memories for generations, the historical Carousel is in a damaged, vulnerable state. By adopting a horse, you, your family or your business will be a part of history. Your contribution can be paid over a number of years, and will provide lasting benefits and exposure to future generations. Donations can be dropped off at either the 55 Plus Centre at 700 River Street or the Community Service Office in Victoria Ville Civic Centre. Cheques should be placed in an envelope and addressed to Chippewa Carousel Restoration c/o Tom Forsythe. 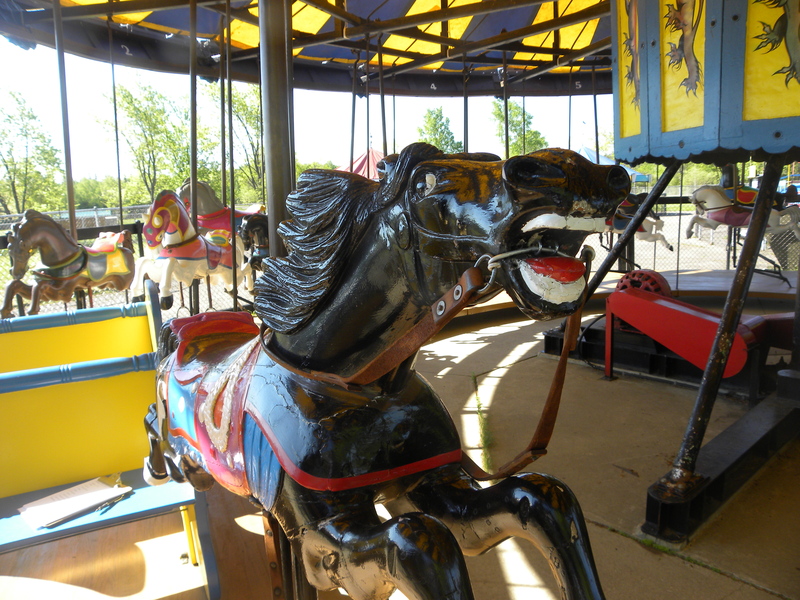 6 of 28 Horses have been adopted so far! 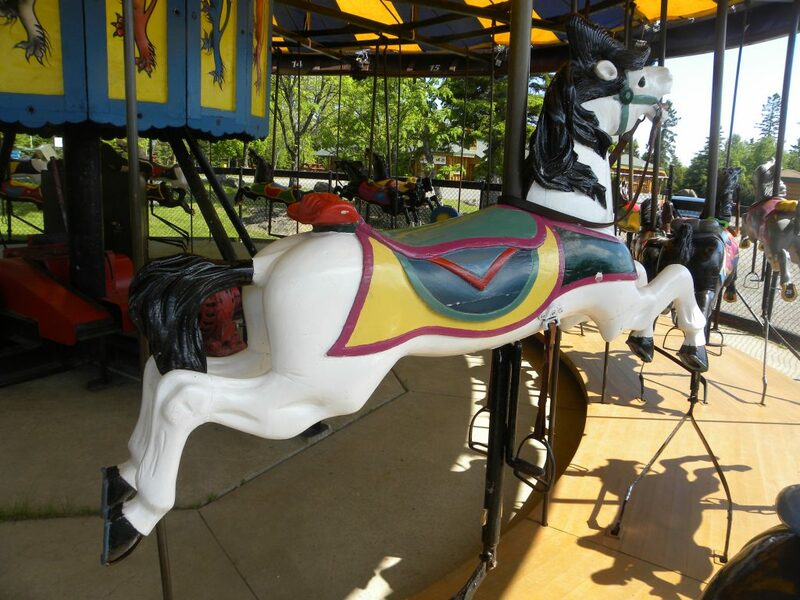 According to renowned, international Carousel restoration specialist, Lisa Parr, Chippewa Park’s C.W. 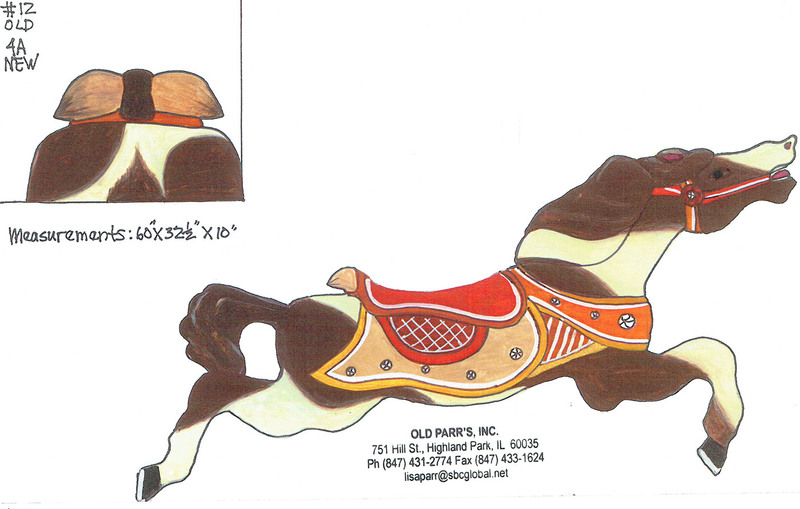 Parker is a very significant carousel as of all the Parker signature design carvings are included on all the Horses. 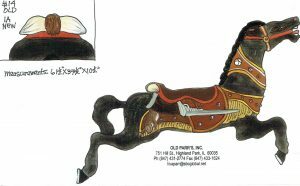 In particular, the Dragon Horse, Hunter Horse, Flying Manes, Lion Pelts, and Partial Armored Horses are unique in that there is only one or the carving is spectacular. 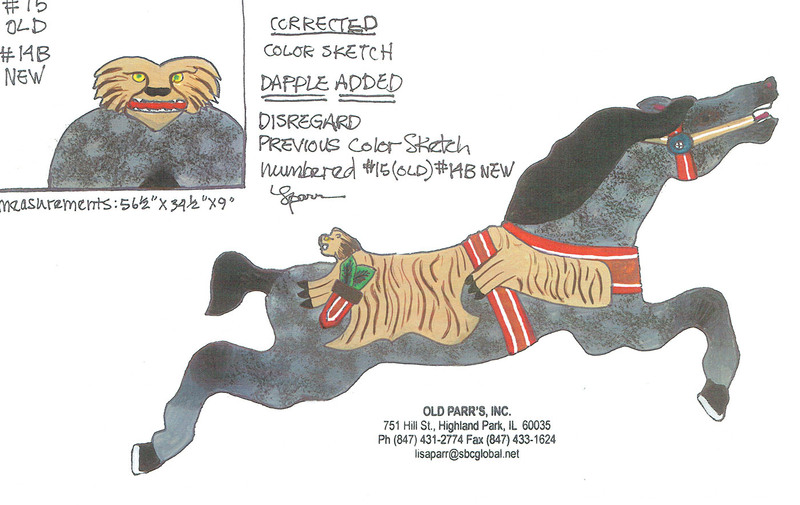 It should also be noted that not all the special features are individual. 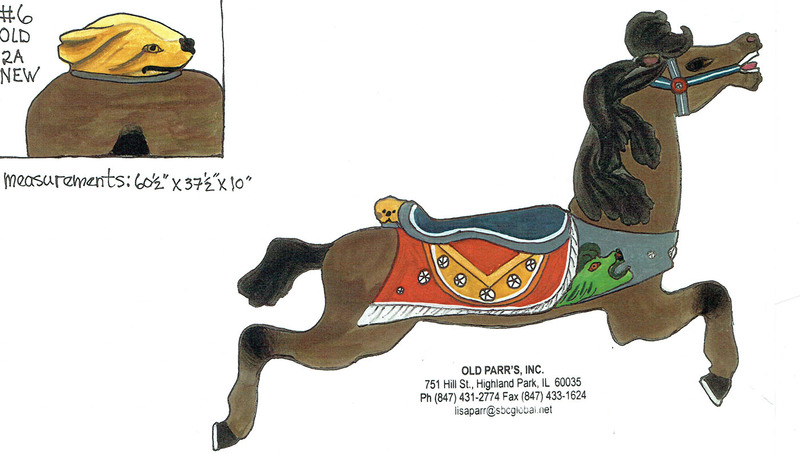 One Horse may have not only the flying mane, but a puppy on the cantle. 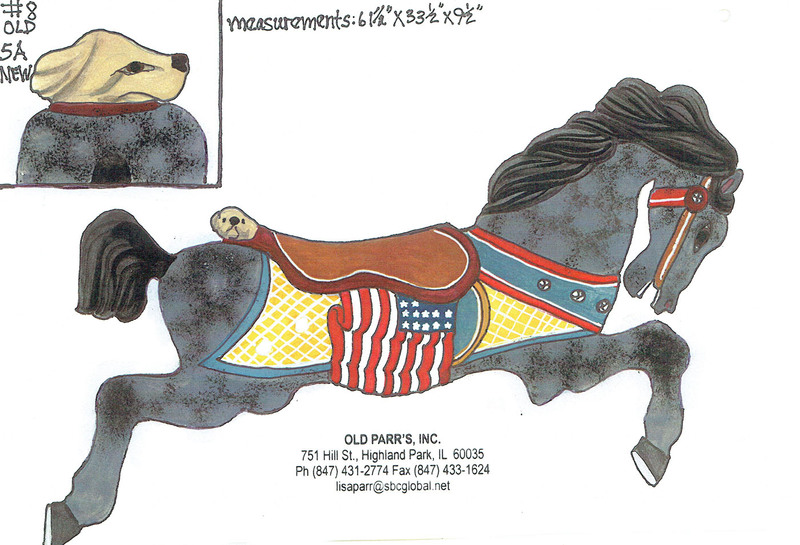 A flag-cantled Horse is also a partially-armored Horse, and so on. 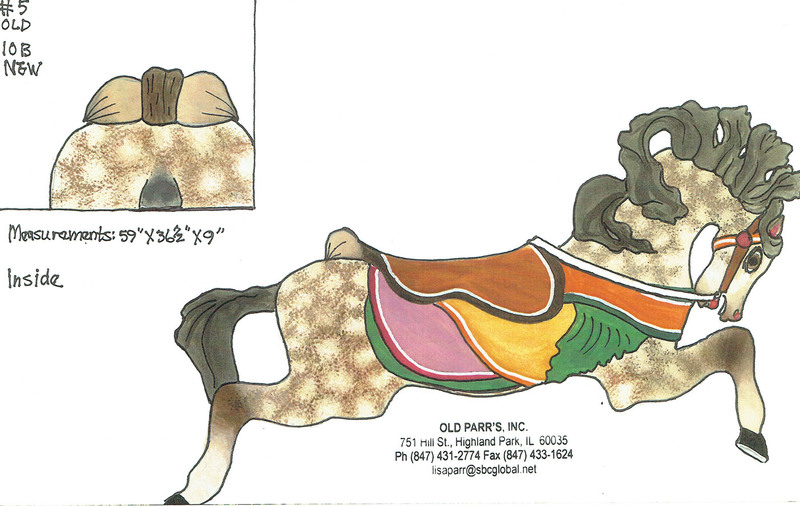 We have separated the horses into two distinct categories based on Lisa Parr’s analysis and knowledge of the C.W. 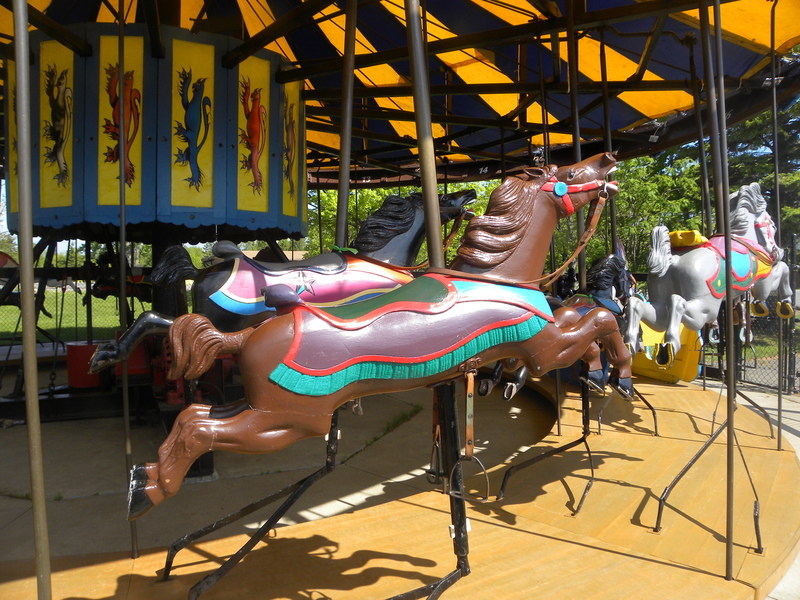 Parker Carousels. 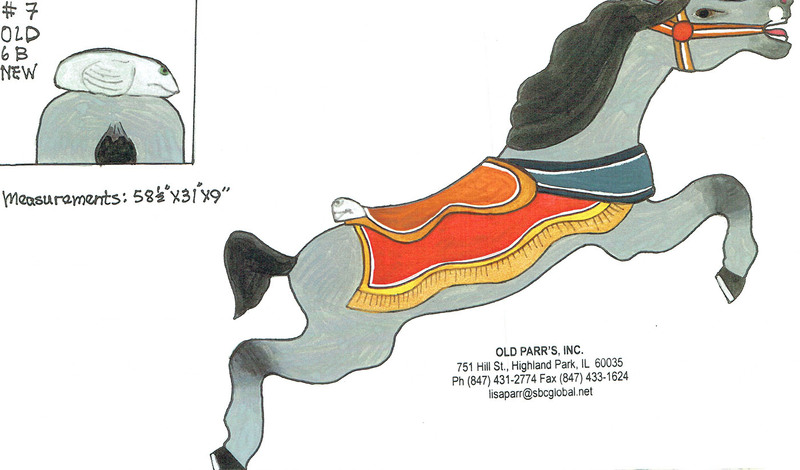 The following horses have been described by Lisa Parr as being spectacular. 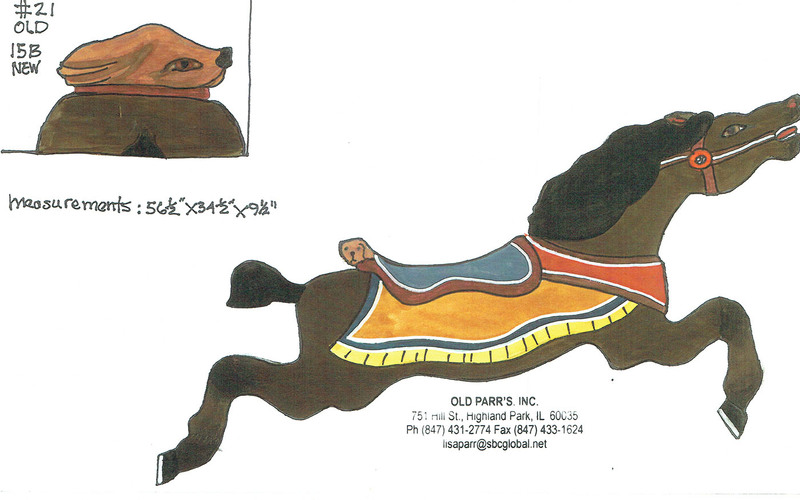 Matched pair with Lion Pelts as saddle blankets, the lion head as the cantle (2). This pair is located side by side. 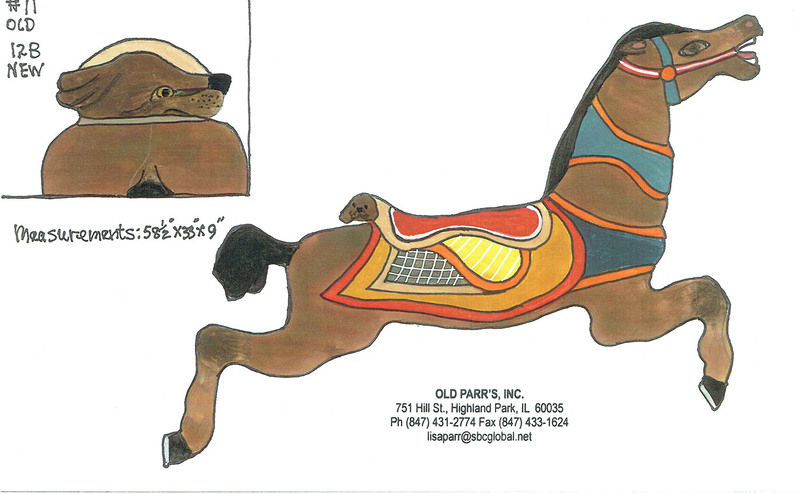 You can adopt one of these Spectacular Horses for $25,000. Which one would you like your name to be associated with for the next 100 years? 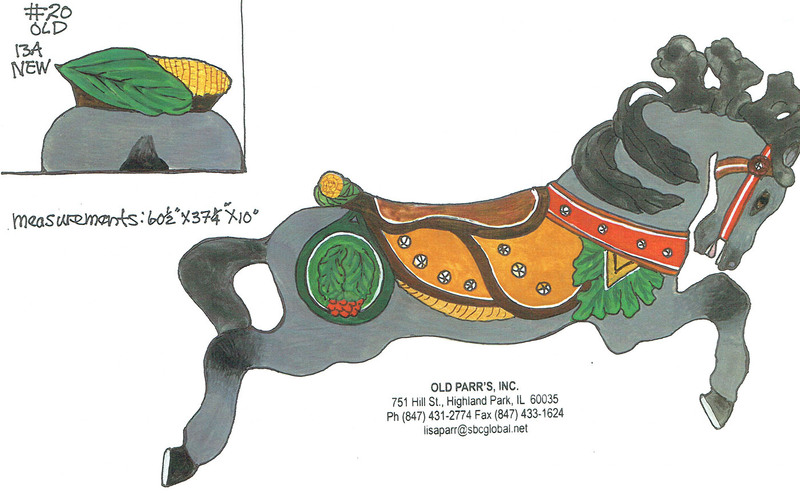 Silver Fish Cantle Design, jewels on left. 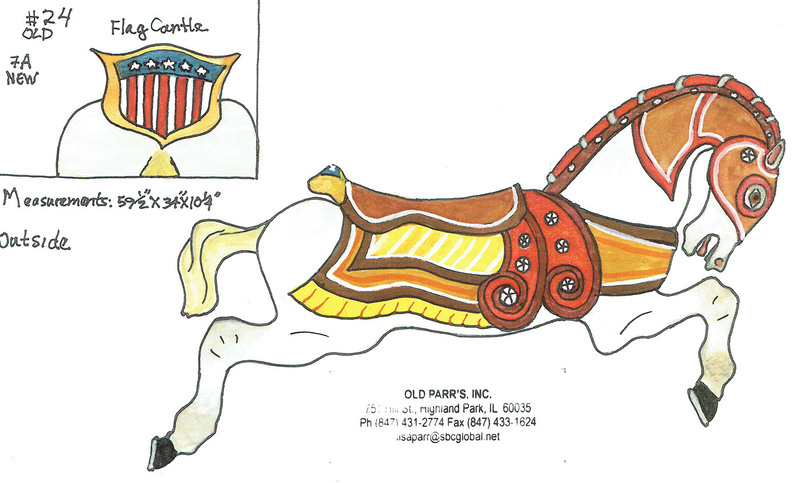 Roses Cantle Design, U.S. 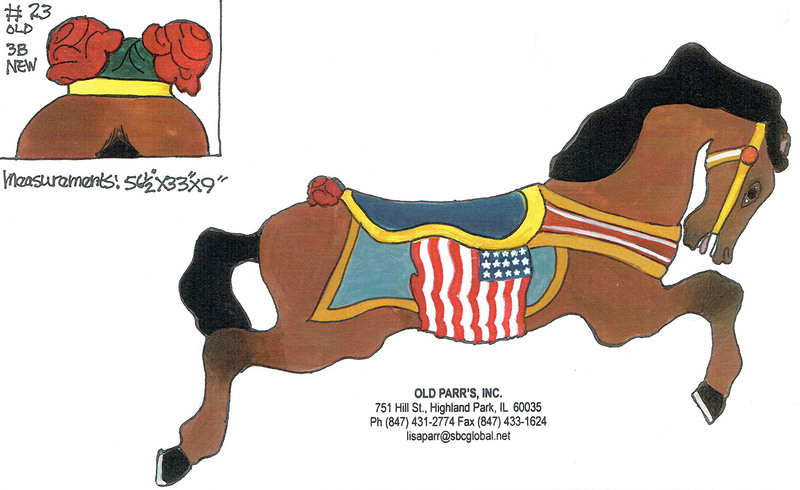 Flag Side Carving, jewels on Right. 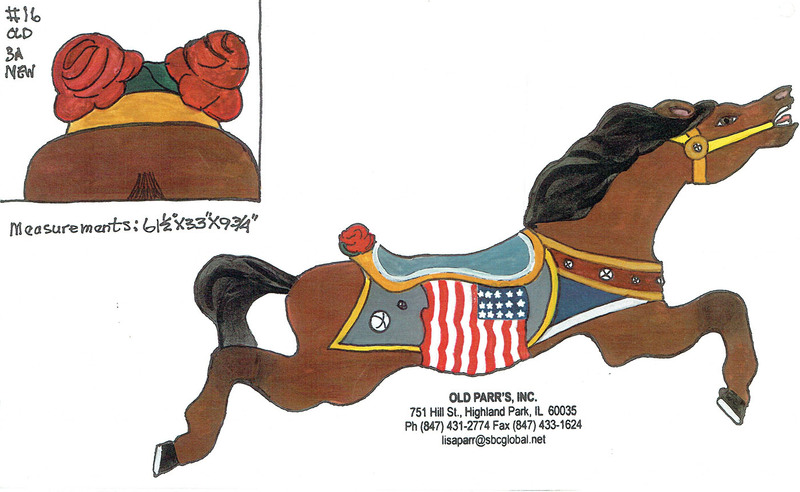 Roses Cantle Design, tucked head, U.S. Side Flag Carving, jewels on Left. 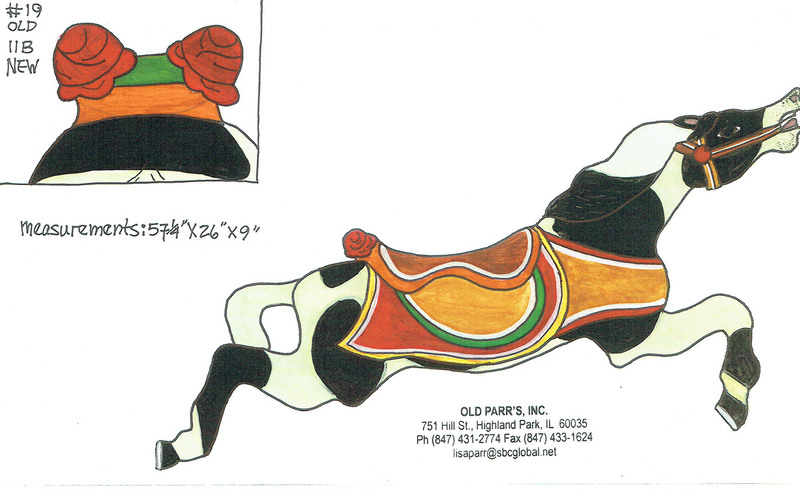 Horns Cantle Design, Star carved on right side, jewels on Left. Only carved Star. 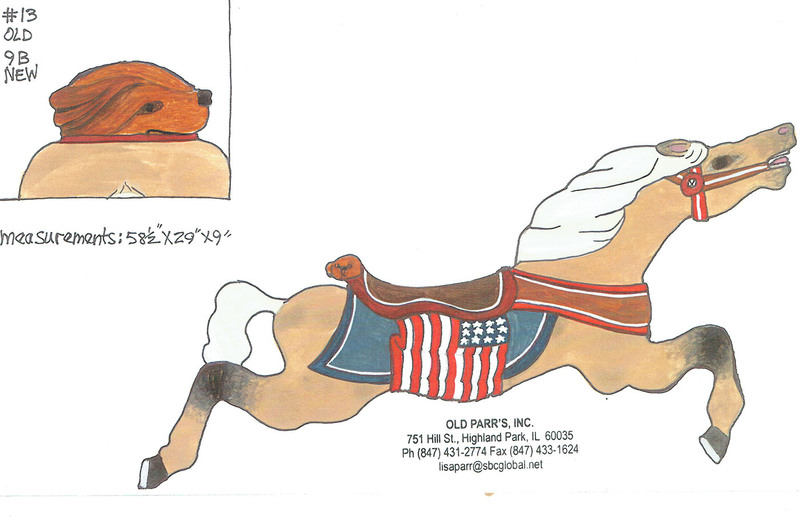 Puppy Cantle Design, tucked head, side U.S. Flag, jewels on Right. 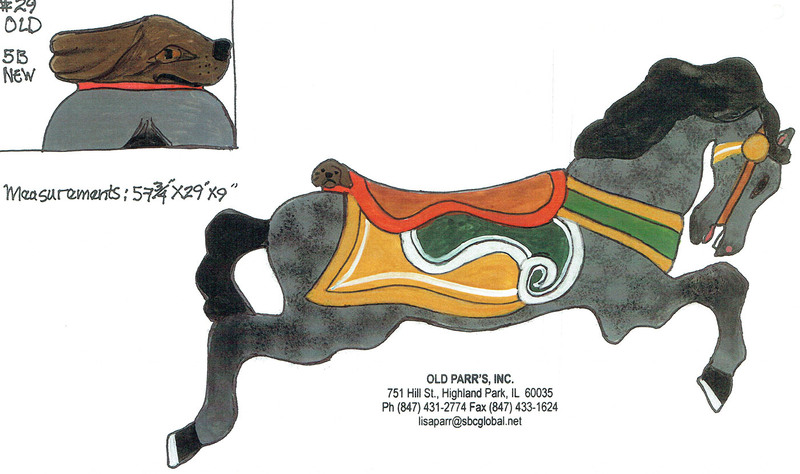 Puppy Cantle Design, Tucked Head, carved right side Scroll, jewels on Left. 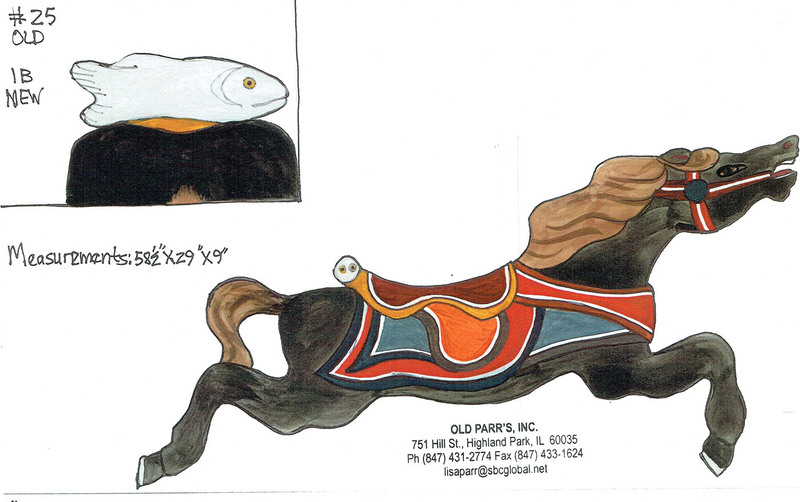 Silver Fish Cantle Design, Stargazer, jewels on Right. 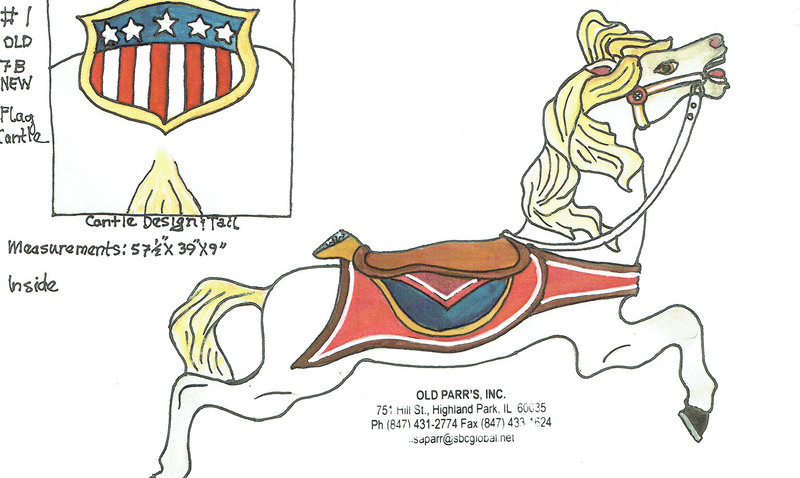 Flag Cantle Design, Peek-a-boo Mane, jewels on Left side. 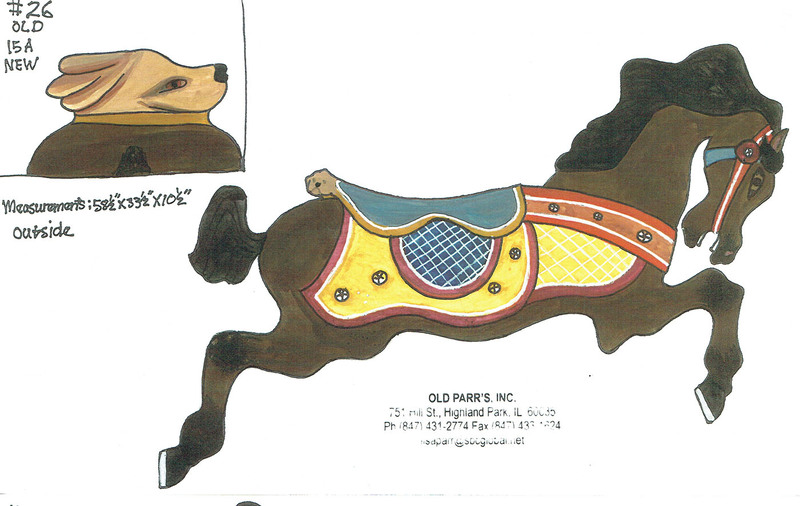 Puppy Cantle Design. Jewels on Right. 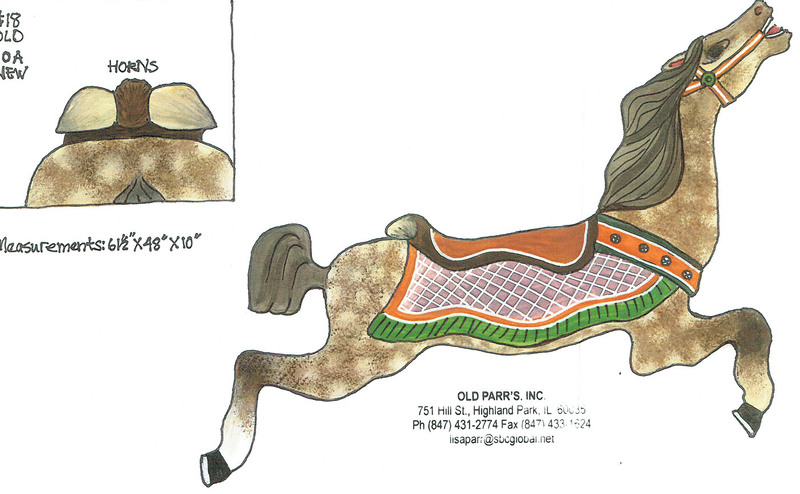 Horns Cantle Design, Stargazer, jewels on chest strap. 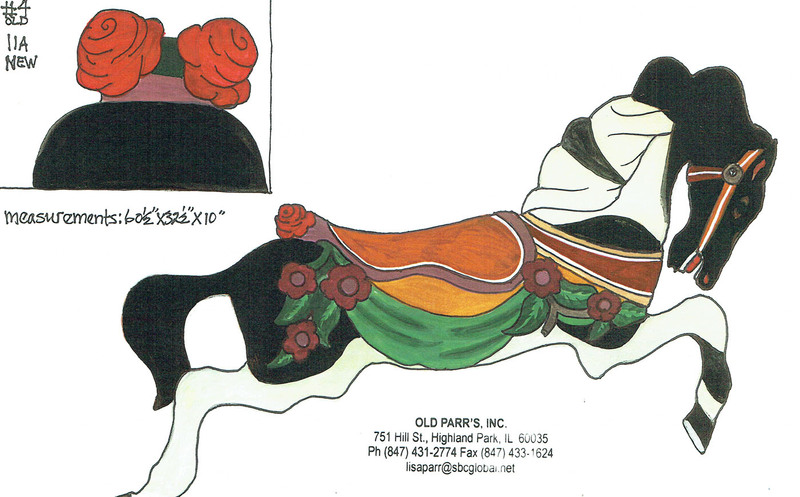 Roses Cantle Design, Tucked Head, side drapery with Leaves & Flowers. 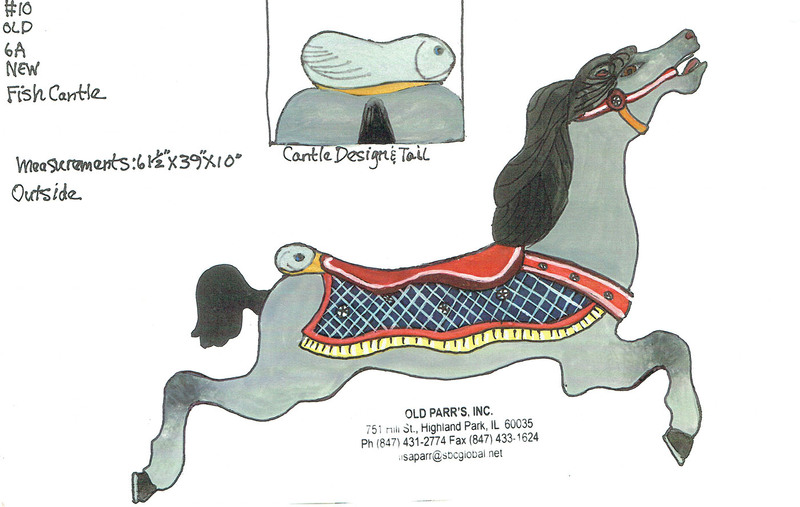 Roses Cantle Design, jewels on Left. 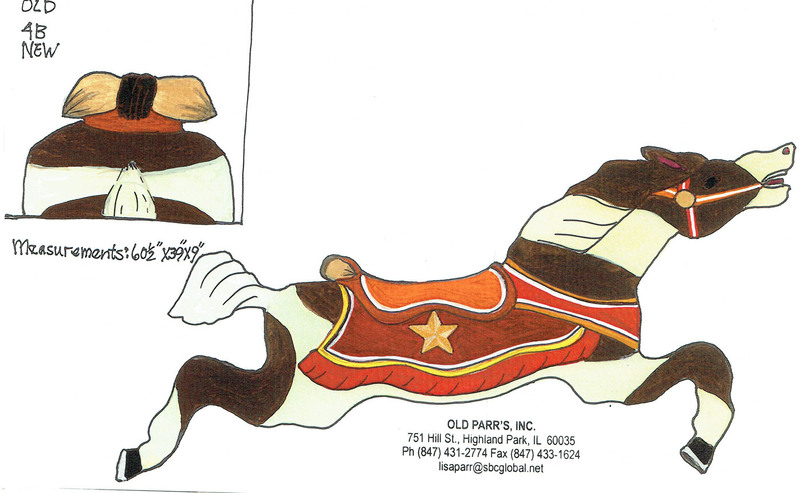 Puppy Cantle Design, Stargazer, jewels on right. 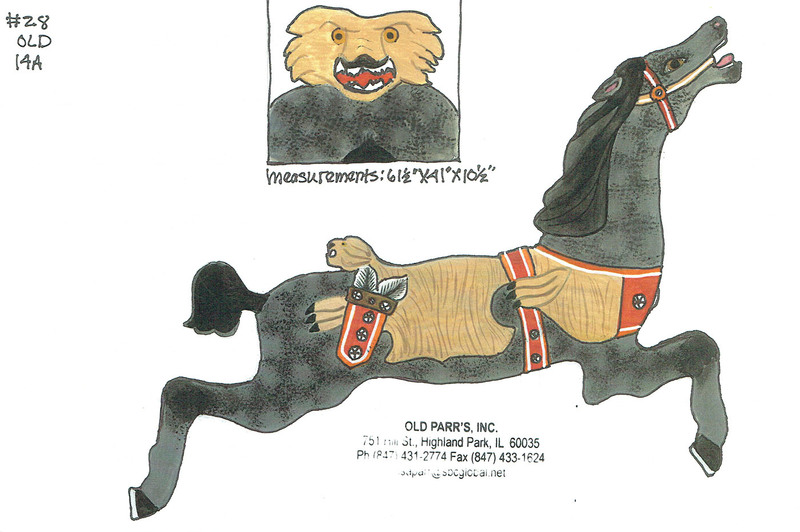 Puppy Cantle Design, Clipped Mane, Neck Guard, jewels, on left. 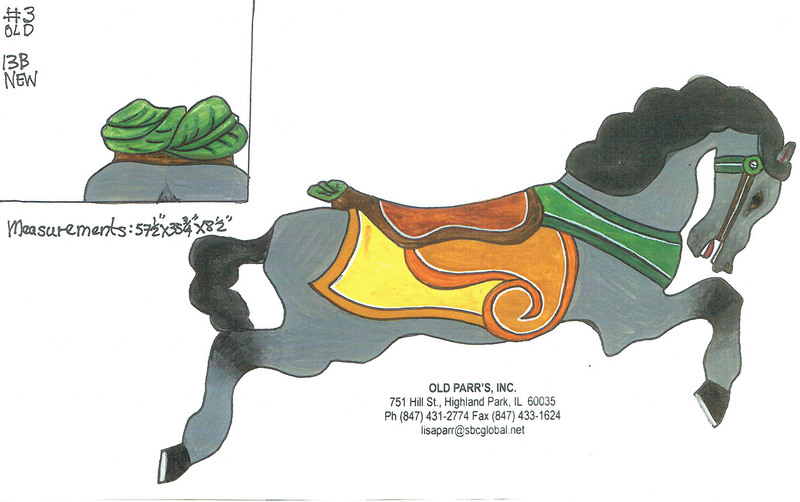 Leaf Cantle Design, tucked head, jewels on Right. In. Only 1 with Leaf Cantle. 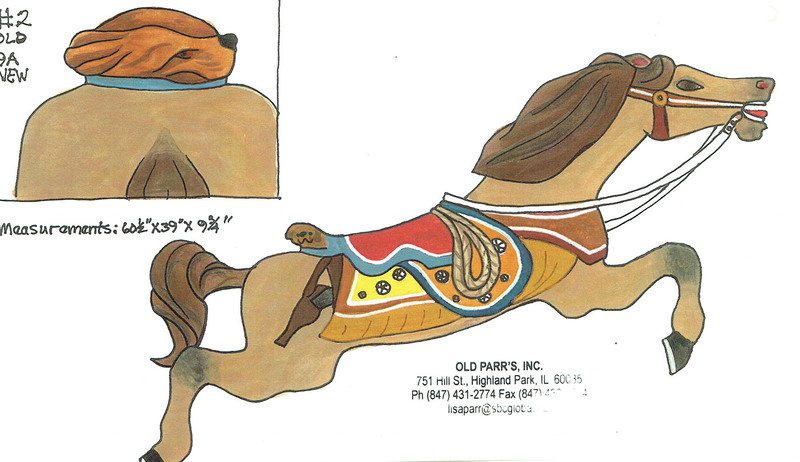 Puppy Cantle Design, Tucked Head, jewels on Right. 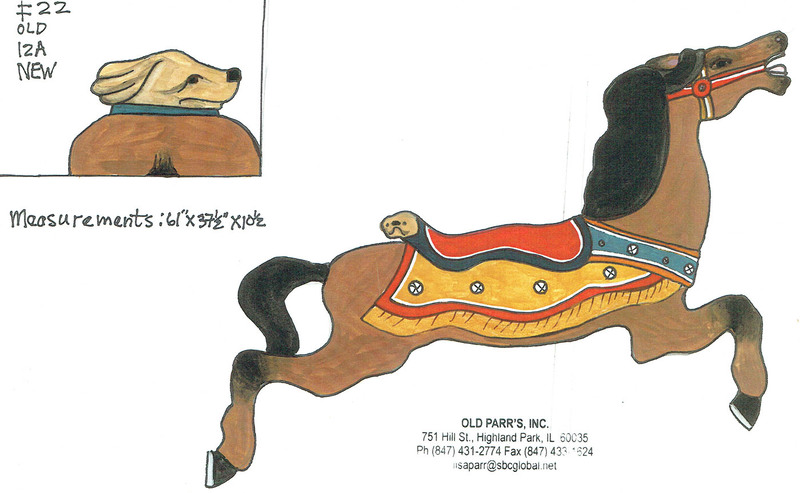 Puppy Cantle Design, jewels on Right. 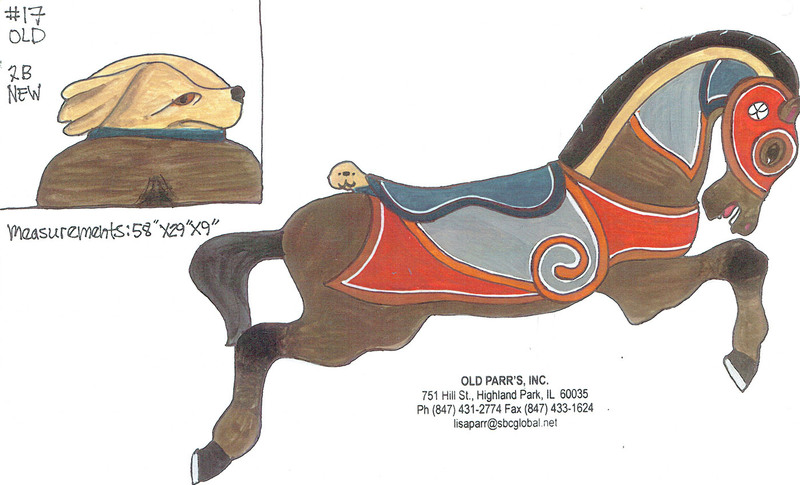 You can adopt one of these Extra-Ordinary Horses for $20,000. 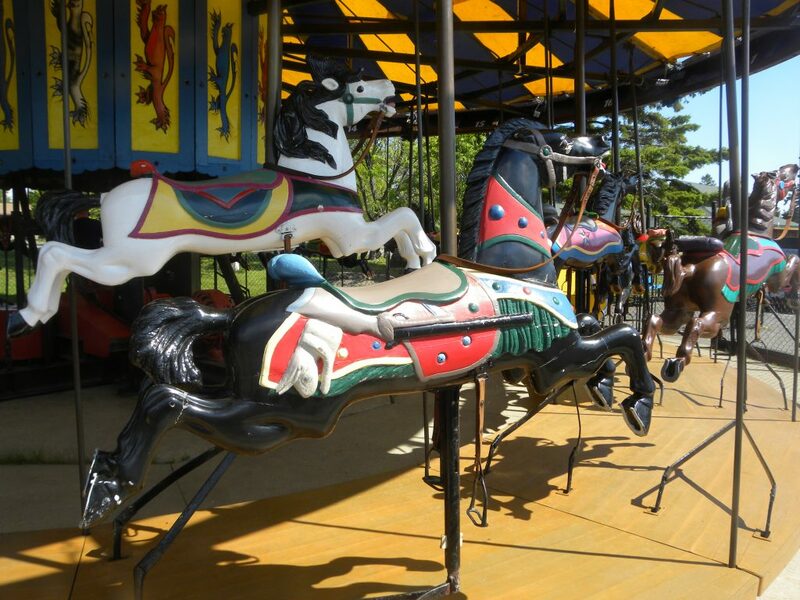 Which one would you like help restore so that generations to come will enjoy the carousel that you grew up on.